Medeligo™ is the brainchild of neurosurgeon John Ruge, MD, FAANS. His frustration with existing mobile options to quickly and easily find critical neurosurgical information led to the founding of LiveMed Media and the subsequent development of Medeligo™ – an oncology search app. With the help of professional librarians and information specialists, and the creation of proprietary technology – a fast, easy, yet powerful method of searching for highly-targeted oncology information was developed. LiveMed Media’s vision is to transform the way physicians access medical information, ultimately leading to a new standard in medical education and practice that is easily accessible to all. Dr. Ruge has an international reputation as both a pediatric and adult neurosurgeon with over 25 years of clinical experience. 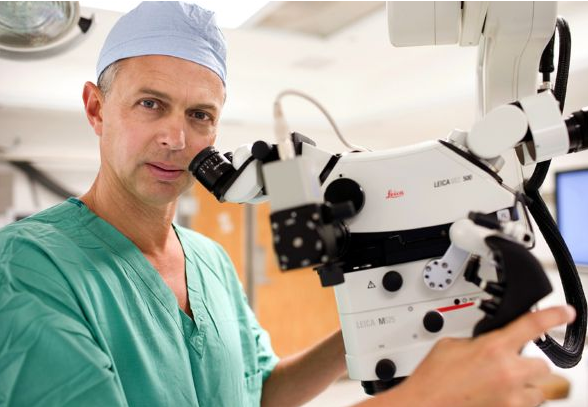 In 2015, he was recognized in Newsweek magazine as a top cancer neurosurgeon. In 1997, Dr. Ruge founded the Midwest Children’s Brain Tumor Center – dedicated to improving the future for children with brain tumors. He has served on the editorial boards of 2 major neurosurgical journals. He is currently Chief of Pediatric Neurosurgery at Advocate Children’s Hospital in Chicago. Dr. Heidi Memmel is the Surgical Director and Medical Co-Director of the Caldwell Breast Center at Advocate Lutheran General Hospital in Park Ridge, Illinois. Dr. Edward James specializes in Gastro-intestinal Oncology, actively leads the GI tumor boards and is the Chair of the Cancer Committee at Advocate Lutheran General Hospital in Park Ridge, IL. Dr. James Dolan has 30 years experience in Gynecologic Oncology. He served as Director of Gynecologic Oncology at Lutheran General Hospital Park Ridge, Illinois from 2004-2017. Dr. Robert Kaplinsky specializes in urology with expertise in the treatment of urologic cancers. He is on the medical staffs at Advocate Lutheran General Hospital where he is the director of the Multidisciplinary Genitourinary Oncology Conferences and at Presence Resurrection Medical Center where he is Chairman of the Division of Urology. Dr. Shams Bakhos Bufalino specializes in Hematology-Oncology at Advocate Lutheran General Hospital in Park Ridge, Illinois.